Bang Kwang Prison is one of the most notorious penal institutions in the world. Located seven miles north of Bangkok city in the Nonthaburi Province, the prison is home to over 8,000 inmates, among them ruthless killers, rapists, drug traffickers, conmen and thieves. The Bangkok Hilton is understaffed, overcrowded, and filled with inmates who struggle with insanity as they spend the first months of their sentences chained in leg irons. Prisoners outnumber guards by 50 to 1. Until now, the reality of life inside Bang Kwang has remained a secret. 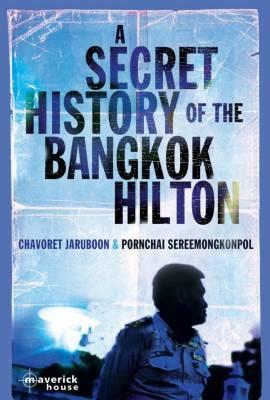 Chavoret Jaruboon’s book is the most insightful, candid and thought-provoking book ever written about Thailand’s most notorious institution. If you want to understand Bang Kwang, its guards, prisoners and its unwritten rules, you must read this book. The Last Executioner: Memoirs of Thailand's Last Prison Executioner is a book not ashamed to tell it like it is, that if you do wrong you must be punished, and if you commit the most heinous of felonies your own life must be forfeit. It is a book that emphasies not only the necessity of having a moral code to adhere to in life, but also just how easy it is to stray into the criminal world otherwise.